With summer around the corner, there is nothing more lavish or important to some woman than a pedicure. However, you must heed caution because that relaxing footbath and pretty nail polish could be more trouble than what it is worth. Proper precautions must be taken otherwise that foot massage could lead to a massive infection or worse. There are several preventative measures that can be taken to prevent issues from a pedicure. One of the first steps to take is to make sure that you do not have any cuts or abrasions on your legs or feet. Getting a pedicure with open wounds drastically increases your chances of an infection. Also, do not get a pedicure the day of or after shaving your legs. Ensure that the instruments that are being used on your feet have been properly sterilized. Most doctors recommend to people frequently receiving pedicures to buy their own set of instruments. Having your private set will ensure that the tools are sterile. It is important to pay close attention to how the technician cuts your nails. Some technicians will either cut your nails too short or improperly, which can lead to possible infections and ingrown toenails. One major mistake nail technicians make are pushing back a person’s cuticles. Your cuticles serve as a seal and barrier for your toes. To have that barrier disrupted leaves your toes in vulnerable to all kinds of problems. Lastly, make sure that the place you receive pedicures from have good habits of keeping their establishment clean, which includes: clean floors, washbasins, chairs, and other things of that nature. Furthermore, going to a nail salon where the nail technicians are certified can prevent major problems too. A certified nail technician means that they have been approved by OSHA (Occupational Safety and Health Administration) when it comes to sterilization of nail supplies. Even though pedicure can be potentially hazardous, with the right precautions they can be relatively safe. If you receive a pedicure and notice any pain or swelling in your legs or feet see a podiatrist. For more information on pedicure visit our website. A common injury that causes ankle pain is an ankle sprain. 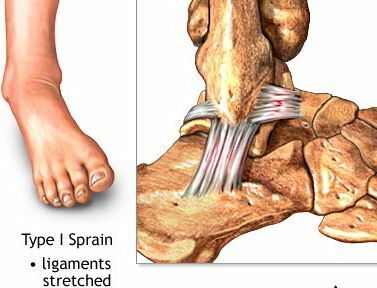 A sprained ankle occurs when the ankle rolls over or the foot inverts causing the ligaments around the ankle to be stretched or damaged. The most common ankle ligament that is damaged is the talo-fibula ligament. In more severe sprains the calcaneo-fibula ligament will be damaged too. If the ankle does not improve after 48 hours then you should consult a medical professional, because the ankle could be fractured as well as sprained. If the ankle does improve after 48 hours there should be adequate physical therapy and a gradual return to physical activities. There are a number of things that can be done to prevent ankle sprains through proper stretching and strengthening the muscle around the ankle and foot. When an ankle sprain is not properly treated it can lead to future strains and chronic ankle pain. So the next time you have an ankle sprain make sure it is adequately treated. If you have chronic ankle pain or have an ankle sprain that last longer than 48 hours see your local podiatrist. For more information on ankle sprains check out of website. There is nothing more important for parents than the health of their child. While visits to the pediatrician are common, the wellness of those tiny feet and toes are often overlooked. When a young child starts to first walk at about the age of 9-15 months of age, the foot has a fat or chubby appearance where there is a less bony architecture apparent in the foot. At this point in the development of the foot, it is very difficult to evaluate whether the child will have future problems with a flatfoot deformity. 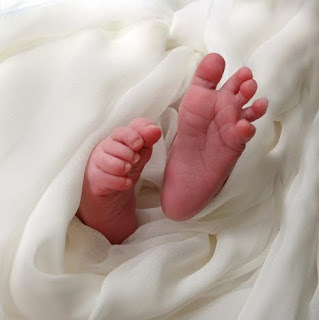 At the ages of two and three, the child's foot starts to show more of its characteristic shape since the foot is less fat and the bones are more prominent. If the child has flat feet at the ages of two to three, then it is wise to have the foot examined by a foot specialist such as a podiatrist. Early detection of foot ailments can eliminate a lifetime of pain. Children with flat feet are known to have foot pain and if left untreated, the pain may lead to future foot ailments and possible joint pain. Children typically do not grow out of having a flat foot, but if detected early children’s flat feet can be corrected simply through special braces, shoes, or with insoles. Treating a child’s flat foot not only aids in the prevention of future foot pain. Early detection can allow for permanent correction of foot deformities. Since flat feet deformities causes instability of the foot while walking, children with flat feet may complain about discomfort in the foot arch, heel, or ankle pain. The discomfort is often aggravated with increased standing, walking, or running activities. However, since the excessive rolling inward of the arches may also make the leg and knee more turned inwards, children with flat feet may also complain of pain in the low back, hip, knee, or leg due to the abnormal mechanics of the foot which is created by the flat foot deformity. If you think your child may have flat feet see a podiatrist. Some thing that seems so trivial can potential save your child from years of grief. To learn more about flat foot deformities check out our link foot deformities.